It may very well be that the current rally off the Christmas week lows has plenty of room to run. 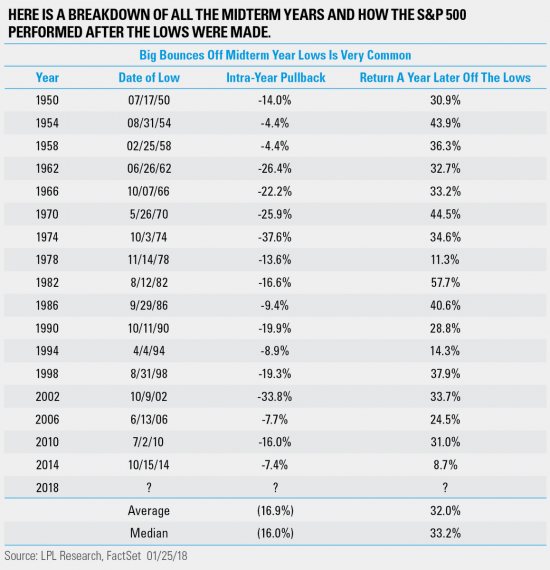 The year after a mid-term year puts in its low the S&P 500 Index is up an average of 32%. Since the Christmas week lows last year the S&P 500 is up 17%. Are we only half way there? It’s likely to be a wild ride but history tells us investors will be very satisfied with the results. Another great stat from Ryan Detrick of LPL Research.